Following the somewhat underwhelming Electric cafe, Kraftwerk once again went into hibernation for a few years. During this period there were some significant developments - the Kling Klang studio was converted from analog to digital, and the entire apparatus was redesigned so that Kraftwerk could take their entire studio on tour with them and reassemble it wherever they played. In addition to this, first Wolfgang Flur and then Karl Bartos left the band, to be replaced by Fritz Hilpert (and later Henning Schmitz). 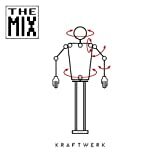 The first product to emerge from this new set up was the misleadingly titled The Mix - misleading because Kraftwerk did not remix their older songs but re recorded them from scratch. The resulting album is a curious hybrid - not exactly the best of, and not exactly a remix album. Thankfully, it is a very strong collection - it's a good introduction for the newcomer, while the new versions of the older material are sufficiently different to be interesting for established fans. The album gets off to a shaky start with The Robots being given a house music makeover. Given their enormous influence on the genre, it's a perfectly fitting thing for Kraftwerk to do, but The Robots is not a great choice of song for an e-generation remake. The original was all hard edges and angular electronica, and the smoothing out process here does it no favours - Metropolis or Neon Lights would have worked better. Following this, however, things pick up nicely. Computer Love reworks one of their warmer, more human tracks to great effect, while Pocket Calculator/Dentaku (a Japanese version of Numbers) puts a highly effective gloss on one of Computer World's lesser moments. The real treat in the first half is Autobahn, which is taken down to just under half of the length of the original without sacrificing any of the charm, melodic invention or rhythmic drive, while the beefed up bassline gives the piece added impetus. The second half sees another house styled makeover, this time on Radioactivity, here recast as an anti nuclear anthem. While some of the teasing ambiguity of the original is lost, the grim roll call of 'Sellafield - Chernobyl - Hiroshima...' is highly effective and the piece really works well in this new version (and it remains an on stage favourite). 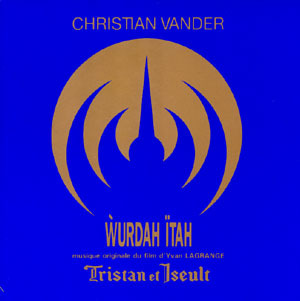 Trans Europe Express/Metal on Metal/Abzug gives the main themes of TEE a highly effective makeover, before a trance reworking of Home Computer leads the album towards its conclusion. The joker in the pack is the final track, Music Non Stop, from the disappointing Electric Cafe. Here the themes that were spread rather flabbily across the first half of that album are condensed into a highly listenable six and a half minute trance workout, giving a tantalising glimpse of what Electric Cafe couyld have been. If you want a Kraftwerk sampler this is a good choice - all the main albums are represented and their Mensch Machine aesthetic is effectively distilled into an enjoyable 65 minute package. If you're an established fan there's plenty to enjoy, although some of the reinterpretations remain controversial among the true fanatics. A worthy addition to one of the more influential back catalogues of the last 40 years. On the Mix, Kraftwork does a worthy rework of a selection of classic tracks. While not everything benefits from the treatment, most songs do. And fear not. The 're-mixes' remain quite faithful to the originals. An obvious change is a stronger emphasis on the beat. As I've pointed out before, some of the original recordings just screamed for a bit more oomph in that department and here they fixed that. 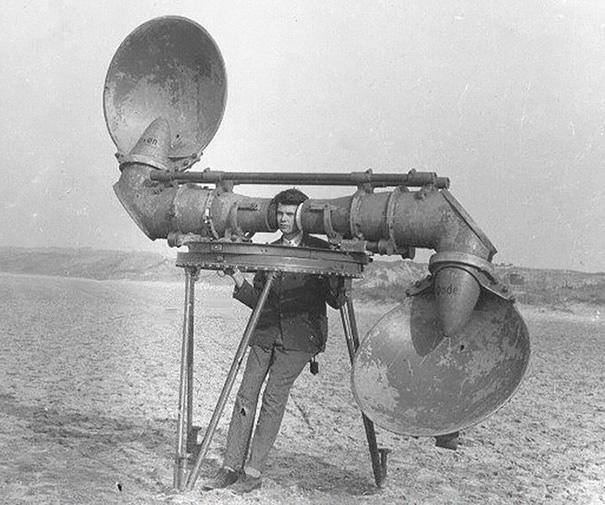 Not that it comes close to a 'car-tuning-beats' treatment. They strived for a good balance between the original mood and feel of the songs and a slightly updated sound. Especially Autobahn and Radioactivity are improved by it and surpass their originals with ease. 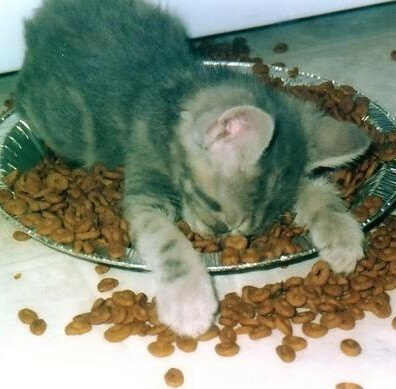 Other treatments such as Homecomputer tend to overindulge and make the tracks too long. Overall a good addition for the fans. 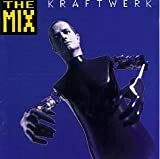 "We are programmed just to do, anything you want us to ..."
"The Mix" is Kraftwerk's sole 1991 album that features remixes of their classic tracks andmany are very worthwhile reinterpretations of this most innovative musical style. It is full on techno and some of the tracks are wonderful indulgences into the electronic stream. 'Radioactivity' is a new reinvention of the best track from the so titled album. 'Trans Europe Express' is as good as the original but in my opinion this is an untouchable track. 'It's More fun to Compute' a personal favourite, is given a new treatment and segues into 'Home Computer' effectively. I liked the Dentaku Numbers treatment better than the original and there is a wonderful rendition of 'Autobahn'. The 6 minute repackaging of 'Electric Cafe's best tracks is a worthy addition. Now for the bad news; the new interpretations of some tracks completely destroys them. The new 'improved' 'The Robots' became a single and perhaps appeased the house music enthusiasts of the 90s, but I was appalled. Gone are the bizarre pulsating twangs and off beat percussive metrics only to be replaced with a smooth disco like dance rhythm. This is the version the band plays live and I seem to be hearing this every time it is played on TV. It does not hold a candle to the cold stark electro heavy original. Also there is a bad reinvention of 'Computer Love', one of my all time favourites. However, this is a mix and we are stuck with it. In essence it is better than a simple rehashing of original songs, remixing them, these are all re recorded form scratch, but it is strange how the band think these classic tracks need to be touched at all. 3 stars for the good moments. Why do I feel like I'm stuck in one of Saturday Night Live's "Sprockets" sketches? I can hear Mike Myers as Dieter whining "Now iss ze time on Sprockets vhen ve dance." I've never been particularly impressed with Kraftwerk. In the early seventies, when Emerson, Wakeman, and even Banks were making grandiose sounds with their synthesizers, Kraftwerk was making repetitive, simplistic synth pop. Sure, they occasionally came up with something slightly memorable, like Autobahn or Computer World, but despite the synthesizers and effect-laden vocals, I barely thought of it as progressive. This is a collection of songs of theirs, remixed with heavy rhythm tracks. That makes them even worse. Very repetitive techno. Kraftwerk's productivity in the 1980s was erratic to say the least, with just two full albums ("Computer world" in 1981 and "Electric Cafe/Techno pop" in 1986) being released. Principal band members Ralf Hütter and Florian Schneider became increasingly concerned that people would assume Kraftwerk's days had come and gone, and that the band had ceased to exist. They had however been putting most of their efforts into a radical overhaul of their studios, making the mandatory migration from analogue to digital while also moving from a static studio to a mobile one. With little or no new material prepared, the pair decided to demonstrate the capabilities of their new workshop by re-recording tracks which had appeared on albums from "Autobahn" onwards. In the meanwhile, the supporting musicians in the band changed along the way, but the relevance of this is limited as Krafwerk will always be Hütter, Schneider and others. "The mix" thus served several purposes in that it kept the band's name above water, it acted as a demo for the new studios and, on paper at least, it offered a sort of singles or greatest hits collection (note though that "The model", arguably thier biggest hit, is not included!). It should perhaps be emphasised that these are new recordings, not remixes as the title might these days suggest. At the time of its release though, remixes were all the rage; the title was therefore probably more than anything a marketing ploy. Whether these recordings offer anything substantially new or different is highly questionable. Certainly "Autobahn" is cut down to a more manageable 9 minutes, and a couple of the tracks draw in samples from others which appeared on the same album. Apart from that though, the recordings here are simply updates on the originals. While they exploit the new technologies and recording techniques which were not available when the original recordings were made, this can be a double edged sword. There is no doubt that the digital recordings on show here have a cleaner, more precise sound, something which suits the clinical style of the band. At times however, the sound is rather too clean and predictable, perhaps diminishing the mood of the original piece. The chosen tracks are among the best works of Kraftwerk, and to that end this set does work as a "Best of" collection (except for the aforementioned ommision of "The model"). Those who have yet to discover the delights of Kraftwerk will find starting here to be a rewarding experience. Those already familiar with the band do not however need to rush out in hope of discovering something substantially different. Appropriately listed here as a studio album, The Mix was something of a mix between a best of compilation and a remix album. While remix albums are usually done by someone other than the original artist, the present album is by Kraftwerk themselves; and while compilation albums usually contain a selection of previously released material, the present album contains only re-recorded versions of older songs. The basic idea seems to have been to modernize and streamline some of the group's most popular tunes and make them viable for the Dance floors of the early 90's. The base materials here are taken from the six albums that begun with Autobahn in 1974 and ended with Electric Café in 1986. Autobahn is represented here by the title track which has been trimmed down to less than half its original length (but it still manages to be the longest track on The Mix). 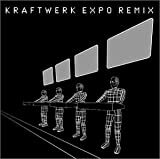 While I think that the original version is the best and most interesting composition ever released by Kraftwerk, this updated version is actually not bad at all and is clearly the highlight of The Mix for me. But needless to say, I still much prefer the original version. 1975's Radio-Activity is also represented by its title track. This one is interesting as they have added some extra lyrics to it in order to transform it from an unconcerned observation to a political anti-nuclear song. They have added the little word 'stop' in front of 'radio-activity' and also added names of several places where there have been nuclear disasters such as Chernobyl, Harrisburg and Hiroshima. This gives the song a whole new meaning which makes for a worthwhile update on the original song (even if I'm not at all an opponent of nuclear power as such). Besides, the album from which the original version is taken was a bit of a "nuclear disaster" in itself so The Mix is probably even preferable over that one! Trans-Europe Express is represented by its title suite, which includes Trans-Europe Express, Abzug and Metal On Metal presented here (as on the original album) as separate tracks. Given the semi-compilation nature of The Mix maybe it would have been better to merge them into a single track? Had they done that, it would be longer than Autobahn. Trans-Europe Express is together with Autobahn the most progressive composition Kraftwerk has ever made and this version is again rather good. Like most tracks here it doesn't divert very much from its original version, but it is a fine if a bit unnecessary version of this electronic classic. The rest of The Mix is... well, mixed. Or bland, is perhaps more accurate to say. 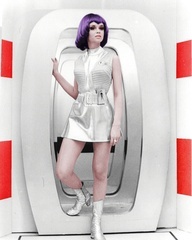 While none of the songs taken from Man Machine, Computer World and Electric Café are bad as such, they add very little of interest to their original versions. The Robots from Man Machine opens this album and it is a rather danceable version that does very little for me. Computer World is represented by no less than four tracks, but again these are very similar to their original versions except the modern programmed beats. Finally, Electric Café is represented by Musique Non Stop (which also contains Boing Boom Tschak from the same album) and this closes The Mix. This song really feels like a remix and as such it is different from the original, but hardly better in any sense. One of the best things about this album is actually that we don't have to listen to the ridiculous Synth Pop of The Model! Synth Pop was popular in the 80's and while Kraftwerk followed that trend then (that they originally helped inspire), in 1991, Dance music was more popular and here they follow that trend instead. If you have the original studio albums, there is not much reason for you to get the present album. If you don't have the original albums and want to check out Kraftwerk, you would be better off going for the original albums. It is indeed hard to imagine who would benefit from the present album. Maybe those who liked the Dance music scene in the early 90's? While not bad as such, this release is largely unnecessary and is strictly for those with special interests in this direction. 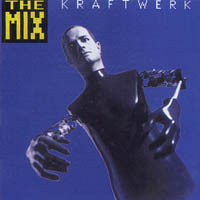 The Mix is the other Kraftwerk album that I had put off due to knowing that I would find it to be bad. It is bad, but it's also better than Electric Cafe. This is basically a remix album, full of remixes of classic tracks that have been turned into cold, robotic, dance-pop. Though, since these are remixes, they still retain a lightly classic sound. However, loving the original versions of the tracks on this album do not mean that these remixes will be of any enjoyment. The best way that I can describe the sound of the music on this album is taking classic Kraftwerk tracks and adding an unmistakable and unwelcome tinge of the '80s for no clear reason. Apparently the purpose of this album was to show to the public that Kraftwerk were not defunct, which is probably all it did. This album is very sad, and I was very sad while I was listening to it. Fortunately, the next album, Tour de France, would take the new modern sound of electronic music and make is sound good. The Mix and Electric Cafe are albums of a short period of darkness in Kraftwerk's discography before they would eventually release a terrific album. Post a review of KRAFTWERK "The Mix"